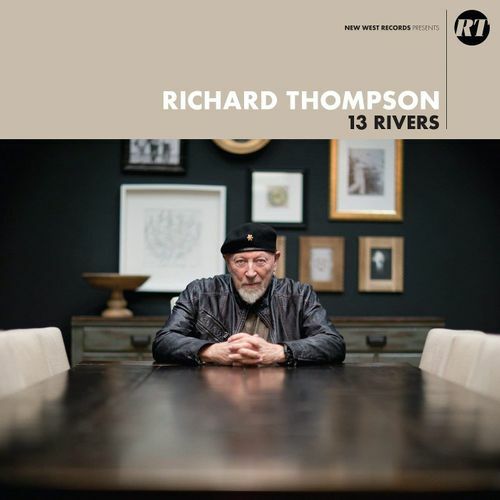 Richard Thompson is a living legend. Known for his early work with Fairport Convention (the feudal English equivalent of the Grateful Dead) as well as his many acclaimed solo records and always blistering guitar playing, the now nearly 70-year-old Thompson is still as prolific as ever. 13 Rivers is his third studio release within the past two years, and doesn’t lack for ambition. Featuring, you guessed it, 13 different songs, the album is constructed around the concept of each song being “like a river…Some flow faster than others. Some follow a slow and winding current. They all culminate on this one body of work.” Armed with an outstanding backing band, who excel at giving these songs a hypnotic groove throughout, Thompson is gifted a unique tapestry over which he imparts his singular interpretation/melding of English folk and American blues tradition. That and, as always, some sweet guitar solos.